¡Hola! My name is Briana Bailey but in the classroom I am known as Señorita Bailey. I graduated from Hope College with a degree in Secondary Education of Spanish and Psychology. This is my first year at WMAA and I am extremely excited. This year I will be teaching Spanish 2, Honors Spanish 2, and AP Spanish. I love working with people. I love to teach, to learn together with others, and to generally gain better understanding of what makes other people 'tick' or figure out their passions. And teaching is a profession where I can do all of these things multiple times a day. Learning is a gift, a right, an opportunity! As such, I think that it is an utter privilege to give the gift of learning to students of all backgrounds. Horace Mann once said that 'education is the great equalizer' and I agree. Education provides the chance at a better future to all who encounter it. And I want to make that reality for as many students as possible. Camp to the classroom! I spent many-a-summer at Camp Barakel where I worked in many roles from assistant, to counselor, to ultimately one of the program directors. I loved how in these roles I was able to teach students about cooperation, strategic thinking, nature, and planning all through fun games. After returning to one of my field placements I found I can bring this same thought process to the classroom! Language learning tears down barriers. While learning a second, third, and more language can be a challenge I think it is well worth undertaking because of the various impacts. 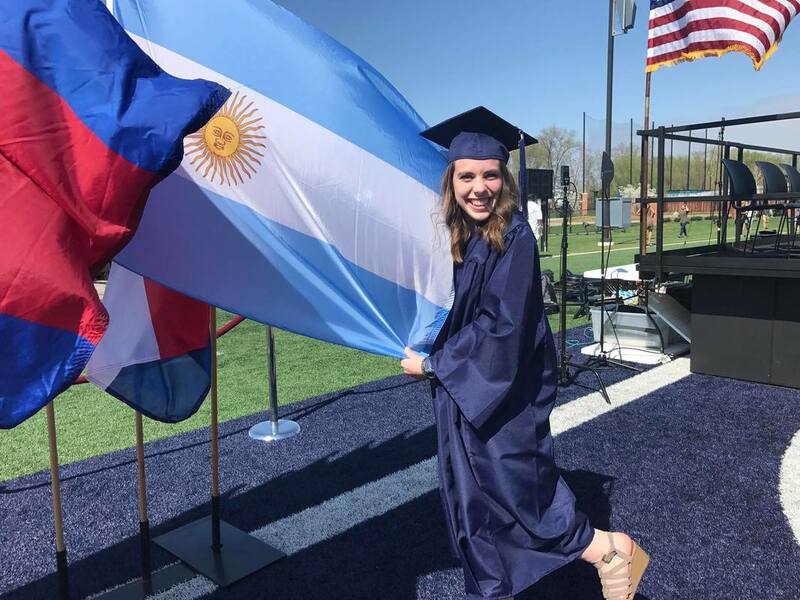 Through learning a new language, students learn about different cultures, new points of view, and consequently gain a fresh perspective on the world they live in. Additionally, with this new understanding, language learners can enter into the world as global citizens! My experiences abroad have greatly contributed to my passion for the Spanish language and multitude cultures included within these countries. I have spent time in España, Guatemala, and Argentina and have left a piece of my heart in each of those countries. What's more through these travels I have learned a greater understanding of how 'normal' changes wherever you go, but people at the heart are all people. We all have passions, people we love, a desire for happiness, and more! Any differences between cultures are to be celebrated because these are the differences which make us unique and wonderful.